Preparation time: 15 minutes. Chilling time: 24 hours. Peel oranges. Place peel from one orange in food processor (discard the other peel) and process until finely chopped. 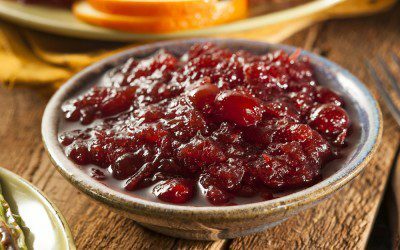 Remove any seeds from oranges and process oranges, apples, and cranberries, one at a time, in a food processor. Mix orange peel, oranges, apples, cranberries, and Splenda in a bowl until the sweetener is mixed throughout the fruit. Refrigerate for 24 hours before serving. This recipe was developed by Sandy Bjerkness, a Certified Diabetes Educator and registered dietitian working in research at Mayo Clinic in Rochester, Minnesota.